Whether the space is used for research activity, manufacturing or conventional office use, leases for life sciences applications are significantly different from traditional commercial lease arrangements, particularly in their provisions relating to tenant improvements, hazardous materials, building services, subletting/assignment and security deposits/letter of credit. Because of the unique nature of these leases, and the significant risk of failing to anticipate and account for the many potential complexities, parties these transactions should take care to engage professionals with experience in the life sciences vertical. Like a commercial lease, tenant improvements will involve a large team of consultants (usually, the landlord’s engineers, architects, contractors, etc.). However, given the unique nature of life sciences activity, significant input will also be required from the tenant and its own team of internal engineers, compliance officers and scientists to ensure that the space is properly designed and in compliance with all relevant laws. As a result, it is vital to establish clear lines of responsibility during both the design and construction phases to maximize teamwork and collaboration and to avoid change orders, mistakes and costly delays. Who will design and construct the premises? Who is responsible for the cost of the improvements? What do the allowances include/exclude? Typically, the landlord will be responsible for any costs associated with the building shell, the main building systems, infrastructure improvements, common areas and exterior improvements. The tenant will want to avoid any expense directly used for base building improvements which are not specific to the tenant’s particular needs. Finally, because the typical life sciences build-out tends to be considerably more expensive and longer to complete than a traditional commercial build-out, landlords will often require a longer term in a life sciences lease in order to recoup its up-front costs through amortization (i.e.., the usual depreciation period for lab equipment is 15 years). Longer leases also help the tenant by giving them more time to work through the FDA’s approval process. Life sciences companies invariably use and produce hazardous materials. Under existing tort and environmental regulations, a landlord can and will be held liable for the release of contamination caused by its tenant under the Comprehensive Environmental Response, Compensation, and Liability Act (CERCLA a/k/a Superfund). Removal and remediation can also be extraordinarily expensive. 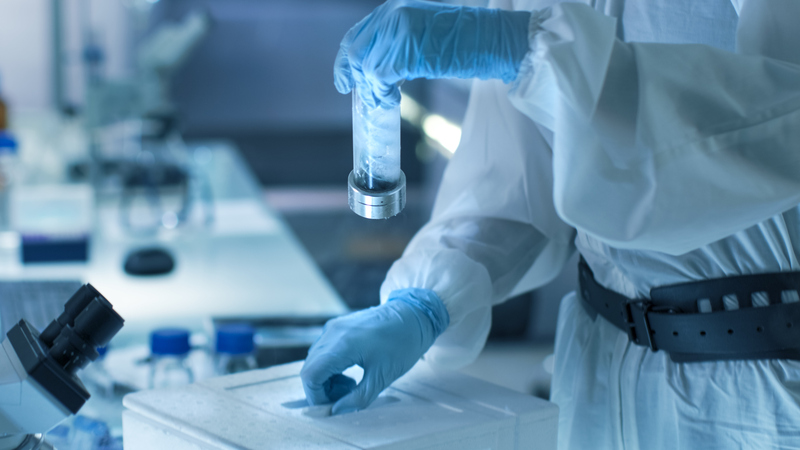 It’s no surprise, therefore, that a landlord would expect its life sciences tenant to represent and warrant that its facilities comply with the policies and guidelines of all applicable environmental agencies. A tenant must also protect itself from being held liable for conditions it did not create by requiring the landlord to represent that no hazardous materials have been released on, or associated with, the premises prior to the start of the lease. The best way to avoid liability for pre-existing materials is to require a Phase 1 ESA study of the premises to determine if there are any conditions indicative of the release of petroleum or hazardous materials or chemicals at the premises, either at present or in the past. In most cases, the cost of the study is shared by the parties, with the landlord paying upon entrance and the tenant paying upon surrender. Who will bear the burden of remediation? Who is responsible for obtaining insurance coverage (“pollution coverage”)? Due to the nature of their work, it is easy to anticipate that life sciences tenants will use a relatively high level of HVAC, plumbing, electrical and janitorial services (typically handled directly by the tenant). These costs should be considered during the lease drafting phase. The landlord will expect a tenant to pay for all of these services, as well as any replacement costs; while the tenant will seek to limit its responsibility for costs associated with capital improvements to the building and/or applicable government requirements. Often, middle ground is reached by requiring the tenant to assume responsibility for the cost of the building systems’ equipment maintenance and repair since normal wear and tear is usually greater in a life sciences setting than in a normal commercial space. This issue can become more complicated, however, if the property is occupied by another tenant(s) who is not from the life sciences industry. In this case, a specific analysis (allocation) of use will be helpful. Finally, the life sciences tenant will likely need extra building equipment such as oversized HVAC, back-up generators, underground storage tanks (UST) and liquid nitrogen tanks. The parties should discuss how this equipment will be measured and decide whether it is part of the premises, and therefore, subject to “rent.” By clearly defining the capabilities of the building systems, as well as responsibility for all costs relating to their use and maintenance, the parties will minimize the likelihood of potential disputes. Because of their unique nature, life sciences leases should be tailored to the particular needs of both the landlord and tenant in any given transaction. In this way, these leases are less transactional than a “normal” commercial lease and more akin to a joint venture if you will. Improper planning and drafting can potentially destroy the profitability of a life sciences company. With open discussion, a deep dive into detail and proper drafting, both sides are more likely to get the safeguards they need, thereby fostering a win for both sides. If you are considering a real estate lease in the life sciences space, or have specific question about an existing lease arrangement in any industry, please contact Jamie Duberman at jduberman@outsidegc.com or 973-768-0117. Jamie Duberman is a Member with our New York-area team and brings over 25 years of legal and business experience in the real estate sector. He regularly handles a wide range of transactions relating to residential, commercial, industrial and new development real estate matters. Previously, Jamie co-founded and served as General Counsel of a regional title insurance company and mortgage company. He can be reached at jduberman@outsidegc.com or 973-768-0117.